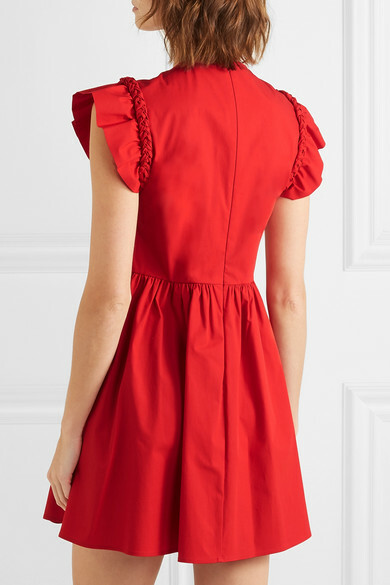 REDValentino's summer dress is made from slightly stretchy cotton-poplin in the label's signature romantic hue. 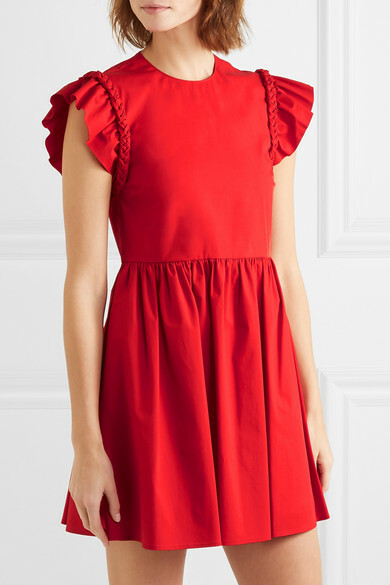 The short ruffled sleeves are traced with thick braiding, which you could highlight with shoulder-grazing earrings. 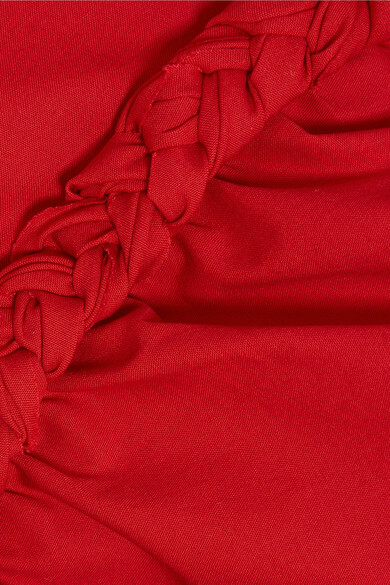 Shown here with: Rosantica Clutch, BY FAR Sandals.